Sparks, Nevada. August 1, 2014 – In a joint press conference, Sierra Nevada Corporation’s (SNC) Space Systems and Dream Chaser program partner, Lockheed Martin unveiled the Dream Chaser orbital spacecraft composite airframe. This structure will be used to conduct the first orbital launch of the Dream Chaser spacecraft due to launch in November, 2016, atop a United Launch Alliance Atlas V rocket. 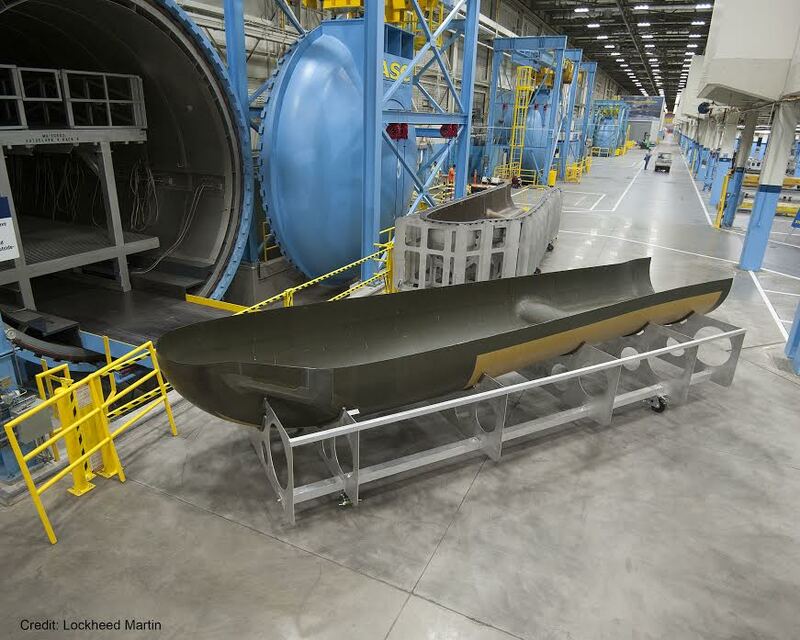 Earlier this year Lockheed Martin began fabrication of the Dream Chaser orbital spacecraft structure at the Michoud Assembly Facility (MAF) in New Orleans, Louisiana. The MAF, which is owned and operated by NASA’s Marshall Space Flight Center, has played a significant role in our nation’s space programs from Apollo to the space shuttle, and most recently, Orion spacecraft manufacturing. As each Dream Chaser structural component completes the fabrication and inspection process at MAF, it is transported to Lockheed Martin’s Aeronautics facility in Fort Worth, Texas for integration into the airframe and co-bonded assembly. Lockheed Martin’s Fort Worth facility manufactures and assembles the world’s top fighter aircraft, the F-35 Lighting II and the F-16 Fighting Falcon. Combined with technology mastered at Lockheed Martin’s Skunk Works, the Dream Chaser team is able to leverage their extensive experience in the areas of composites and advanced manufacturing to ensure the Dream Chaser orbital structure is fabricated, built and assembled using best practices. In addition, Lockheed Martin is applying advanced 3D preform technology for joint assembly thereby reducing overall part and tooling count while improving assembly and integration time. Through these improved processes, SNC and Lockheed Martin are able to improve the overall durability, weight efficiency and affordability of the spacecraft. Upon completion of manufacturing, Lockheed Martin will transport the Dream Chaser airframe to SNC’s Louisville, Colorado facility for final integration and assembly. SNC is working with NASA’s Commercial Crew Program under an existing space act agreement to develop a safe, innovative, modern, flexible and highly-capable commercial space transportation system for the 21st Century. Once developed, Dream Chaser will provide the only reusable, human-rated lifting-body spacecraft with a commercial runway landing capability, anywhere in the world, and is on the forefront of the commercial human spaceflight industry, offering safe, reliable and cost-effective crew and critical cargo transportation to and from low-Earth orbit.